Lia Stampz – Sketchy Time! Hello! 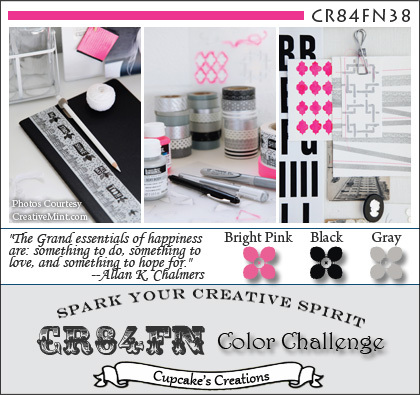 It’s time for a brand spanking new challenge at Lia Stampz and this time it’s a SKETCH challenge! I made a TAG ! 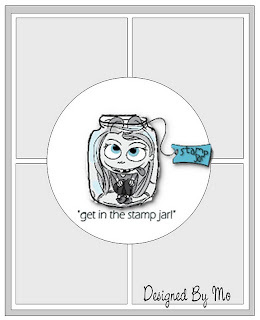 I have used Tisha by Lia Stampz and it’s only available at Whimsy Stamps! I have coloured her with regular Faber Castell colour pencils. The scalloped shape is drawn freehand. The spider web PP is a digi freebie. If you can see, I have tied a black string instead of making four separate panels. This made my work a wee bit easier :) YOU can do this too! The yellow self-adhesive gems are from Pie Lane. I hope you will play this time around, I didn’t see ANY of my friends participating in the last challenge! WINNERS: Feline Thankful Blog Party! Yellooowww!!! Thank you everyone who stopped by my blog and commented on the Feline Thankful blog party post. Special thanks to those of you who actually liked my work and decided to follow or comment on other posts too. Thank you! Girlies congratulations! Please contact felineplayful@gmail.com for your respective prizes and MENTION what you have won. I hope you guys had a fun hop, there were lots of winners! Don’t be sad if you haven't won YET. Yes, the grand prizes are still to be announced! So keep a watch at Feline Playful… the grand prizes will be awarded reallll soon. THIS POST IS STICKY! Scroll down for new posts. Hello everyone and welcome to our FELINE THANKFUL BLOG PARTY and HOP!! We are SO THRILLED you have chosen to party with us. We have organized this blog party to thank all of those who have joined us as followers – over 1800 of you and counting!! We want to say "THANK YOU" to all of you who have been so supportive of this wonderful blog that tracks over 500 challenges! A very SPECIAL THANK YOU to KAREN HOWARD, who started this blog just over a year ago and actually ran it solo for quite a while. Now a team of 14 ladies make up the DT for Feline Playful, led by SHELLEY and we continue to add NEW CHALLENGES almost daily including winners for those challenges, DT calls, blog candy and more. 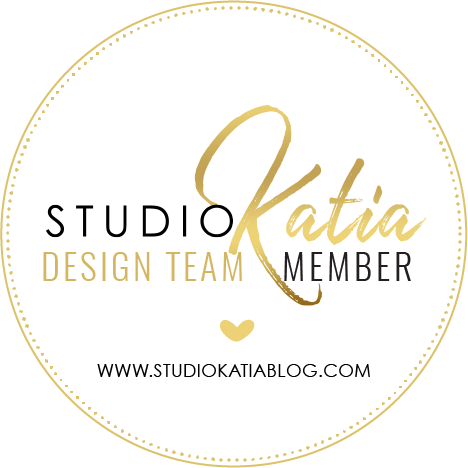 We are hosting this BLOG PARTY to say "THANKS!!" to all our followers for their continuing support. We have joined forces with a very long list of FANTASTIC SPONSORS who have donated images, store credit/$ vouchers and Guest DT Spots to PARTY WINNERS. 1. JOIN THE BLOG HOP - Our blog hop starts September 21 at 9:00 am (GMT) - which just happens to be the International Day of Gratitude - and ends September 27 at 9:00 pm (GMT). Each DT member (we have both past and present DT members playing along) will be awarding prizes at the end of the week to random commentors on their blog. And commentors will also be entered into a GRAND PRIZE draw at the end of the week. The hop order is at the end of the post. 2. FIND THE SECRET MESSAGE - Each DT member on the blog hop will share a letter on their blog. Once you have all the letters, unscramble them to discover a secret message. E-mail your answer to felineplayful@gmail.com. All correct answers will be entered into a draw for a GRAND PRIZE. 3. VISIT FELINE PLAYFUL - Enter your name using Mr Linky and you will be entered to win one of our DAILY PRIZES. You only need to enter once to be eligible to win all week long (but you do need to be a follower of FELINE PLAYFUL please). At the end of the week we will also be selecting at least 1 GRAND PRIZE winner. Add your name to Mr Linky and check back daily to see if you're one of our lucky winners. So what are you waiting for? Let's get this party started!!! Collect your letter for the secret message dearies! My letter is “N”. And here is my thank you card for all of you! Sorry about the picture quality, it’s a cellphone pic. My camera has betrayed me again. The glitter balls and silver ric rac stickers are from Pie Lane (one of our sponsors). The frame image is a photoshop brush. After printing it out, I pencil shaded the design. I finally used my DCWV glitter stack (after over an year of hoarding it I think), the black and white stripey DP. The button, gems, pearls and ribbon are from my stash. All That Scraps have the CUTEST, most adorable digis! Click on the logo above to go directly to their store. The craft room has got everything! You name it, they have it! EVERYTHING in one place. Click on their logo above to go directly to their AWESOME shop! You can comment any day from 21st to 27th September. Plenty of time to win the prizes I have to offer! ERUM aka E.T. ---> You are here! Please remember to follow the order of the hop so that you don't miss any of the DT members’ posts and most importantly THE LETTER. If you get lost along the way, please return to FELINE PLAYFUL to find the hop order. Most of all, have fun and remember to keep coming back to FELINE PLAYFUL for all challenge listings, etc. each day. Next stop on the hop is Gemma. Happy hoppin people! Hello everyone, this is going to be a quick post still have that darn migraine. The card that I have to show you today is based on the CASE Study challenge. This headache is ruining my cards! I don't like the placement of the pink and ivory panel. The pink panel should have been visible from the left side. It would have looked better. Those are scored lines on the caramel layer. The damask stamp is from Inkadinkadoo and sentiment from Fiskars. I added wee bit of hand stitching and lots of copper glitter balls from Pie Lane. Here’s a close up. I think I will rest for a couple of days. I create when the migraine goes for a walk LOL but I think I need to just not do anything for a day at least. I took a day’s break.. it was Sunday after all plus I have a migraine which was much worse yesterday. So today I am CASEing Betty Wright. Oh my goodness! I couldnt decide for a long time which of her cards to CASE, I kept drooling. Seriously. 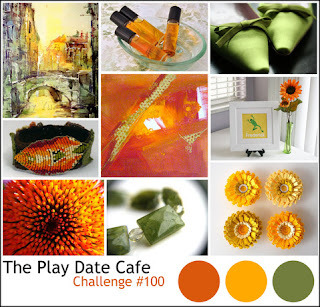 Her gallery is filled with hot, beautiful colours and awesome layering. I decided I can never make an exact CASE of her cards so I better just pick up a few elements and make my own thing. 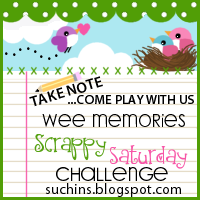 I chose the card shown below from her gallery, I will also be entering this at Wee Memories. My take is a bit simpler, but I took all the elements I could take from Betty’s gorgeous card; the damask paper, fancy border, fancy bow, hearts, glitter. And NOW I notice there is a wee bit of lace trim there! What is WRONG with me! GOD! These hearts are hand drawn, this is why they are a bit uneven. The beautiful gold glitter balls are from Pie Lane. Everything else from my stash. Okay so be gentle on me folks. This is Betty we are talking about! I could only CASE so much! I gotta go make something for CASE Study challenge. See you tomorrow! Today I am CASEing Julie Tilman! I TRIED to CASE her card shown below and I took the colour story from PDCC100. I forgot to do so many things here… I thought I’d add some scoring, some yellow spatters… but FORGOT. Can you see the gold thread over the lace and beaded ribbon? It looks really nice in person. I have placed a wooden button over the bow and then a gem button over the wooden one. Looks great, right?! The sentiment is by Hero Arts, and frame from my Silhouette stash. The hearts were drawn free hand. These papers are from Ujjwal’s Store. I have distressed them with Archival ink in Sepia. The jumbo glitter and bronze glitter balls are from Pie Lane. I think this flourish stamp is Inkadinkadoo. The beaded ribbon and awesome lace is from my stash. On a sad note, I wont be getting my inks and embossing powders till FEBRUARY!!!! I am so sad :( I will however get my Silhouette blades though. Aaah lets hope Archival ink Sepia lasts till Feb! *SECOND post of the day. Click HERE to view PREVIOUS card. Sorry about the picture quality, these are cellphone pics. Hello again, I am back with another card. I was at Ujjwal’s blog earlier drooling over her Lily Pad card. I thought I’d play along too. I was going to do a CAS card but don’t know what hit me and I decided to make this. I CASEd Amy Sheffer’s card shown below for CASE-A-Diva dare. Eeeee! I know! NOT CAS! haha I was suppose to just stick a butterfly where the flowers are but I thought I’d use some gorgeous papers from Ujjwal’s Store. In the picture above, they look REALLY orangey but they are not THAT bright. I drew the flowers very roughly, cut them up , distressed them and then rolled them. I toned down my card a bit as compared to Amy’s card. Her cards are always filled with AMAZING details. But I tried to keep the elements same. I got the correct flower colours here! This shimmery, textured, gorgeous gold yellow paper is from Ujjwal’s store. I didnt have any orange ink in cats eye queues so I distressed them with my ever loyal Crayola markers in Yellow Orange and Orange. The leaves are punched and coloured with Crayola in Olive Green. The gorgeous gems are from Pie Lane. * For Feline Playful blog party click HERE. Yeloow! 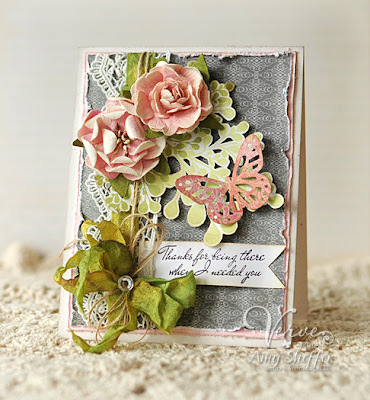 I am back today with another card for CASE-A-Diva and this time I am CASEing Laurie Schmidlin’s super fabby distressed beauty shown below. 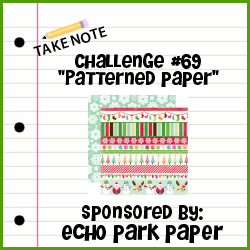 And also entering the Wee Memories no pattern paper challenge. I have kept all the details almost same. I chose to go horizontal with the ribbon and sentiment. I am not to happy with the scoring from MS board. The cardstocks used here are very sturdy so it was quite hard getting some good score lines. I like bits of hand stitching here and there. The base of my card is the same cardstock as the layer to which I have adhered the scraps and sentiment. I just coloured the edges and voila you have colour base of YOUR choice. I think I will CASE Andrea Ewen now, I am SOOO enjoying this! Happy crafting people, see you tomorrow! * For Lia Stampz post, click HERE. * For GingerLoft post, click HERE. Sorry about the picture quality. These are all CELLPHONE pictures. Hello everyone, the Verve Divas are daring us this month to CASE one of them. There are 19 divas and plenty of options to choose from, from CAS to cute to shabby chic. I chose Teresa Kline’s card shown below. I am CASEing her sketch and colour scheme of blue. The scalloped card shape is drawn freehand. The flowers are handmade. I have done a bit of hand stitching. The frame is a digi stamp by Raindrop Echo and the sentiment is Fiskars. The heart shape is also hand drawn and is covered in snow white glitter. The gorgeous gems at the bottom left are from Pie Lane. Nothing special about this card. In fact it is quite below average. I made this card only because I wanted to share with you guys this cute spider I drew. I love it, he is too cute! I wanted to add a red tongue but forgot. I used the PDCC colour story. I have used Pie Lane yellow holographic stickers (the horizontal lines) and their gold glitter balls. Added some scoring and faux stitching and tried my hand at a window card. Dont forget to stop by anytime from 21st to 27th to enter the Feline Thankful blog hop. There are prizes on each and every stop. If you choose to complete the hop, your name will be added up for the GRAND prize which is VERY GRAND! If you are looking for my Lia Stampz post, click HERE. Helloooo! It’s time for a new challenge at GingerLoft and our theme this fortnight is “Vintage or Distressed”. The gorgeous image is called “Star gazer”. I have distressed all the layers with French blue and green (colourbox queue). The butterflies are from my SIlhouette stash. I don’t know why but my hand stitching is looking a bit untidy. Not the zigzag one, the zigzag looks incredibly spot on! I added a few pearls on the lace and one on each butterfly. Finished it off with a fancy bow. That’s it from my side! Hope to see your vintage/distressed creations at GingerLoft dahlings! tata! Hello firends! This is my first DT post for Lia Stampz. This fortnight’s challenge is to make a moving element on your card. This image is called Lily and you can find her at Lia Stampz HERE. I have coloured her with regular Faber Castells and grey parts are pencil shaded. The paper is a digi freebie, I have distressed it with Lava Black (colourbox queue). Can you see the crisscross hand stitching?? I have been meaning to try different types of stitches and this one seemed perfect for the image. Right? The cutie twin hearts are from Pie Lane. So where’s my moving element?? TADAAA! The entire front flap (the image and the pattern paper) is a pocket. It’s a pretty spacey pocket, I can add quiet a few tags here if I want to. You like? The sentiment on the tag is also from Lia Stampz. I used the scraps of pattern paper from the card on it. I inked the edges here as well. 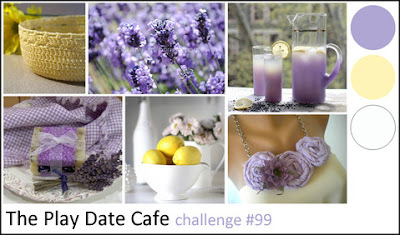 Hope you liked it and I am hoping to see your creations at Lia Stampz challenge blog! !